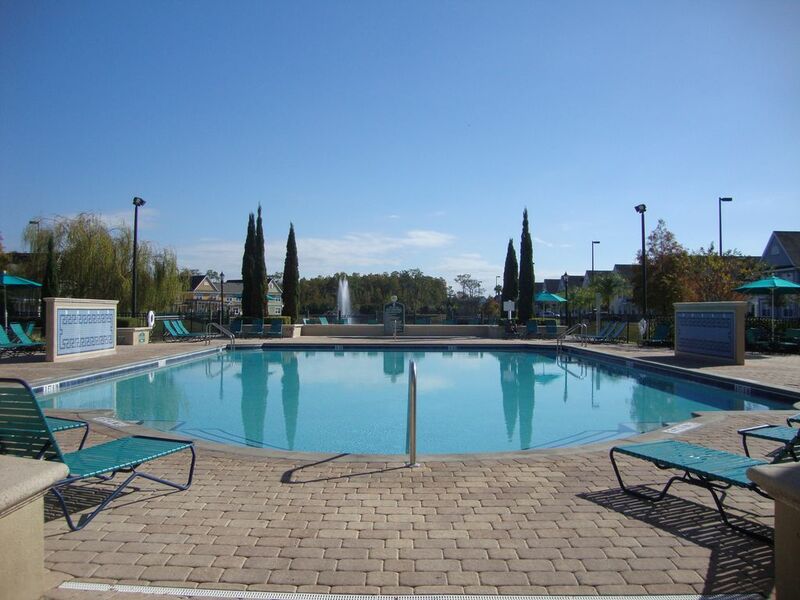 Luxury 3Br Townhome dans Gated Community Minutes de Disney et Universal! Venetian Bay Villages est un Gated, All-Inclusive, Luxury Resort Communauté minutes de Disney, Epcot, MGM, SeaWorld, Universal et toutes les attractions d'Orlando! Spacieux 2 étages Townhouse, 3 chambres (maître BR a jacuzzi), 2 salles de bains, cuisine entièrement équipée, salon, salle à manger, 6-8 personnes. Télévision par câble dans le salon et les chambres. Accès Internet SANS FIL SÉCURISÉ GRATUIT. Toutes les commodités énumérées ci-dessous sont incluses sans frais supplémentaires! Les animaux de moins de 20 lb sont autorisés. Les camping-cars, camions et remorques ne sont pas autorisés. The space was sufficient although needing updating and a bit of cleaning. We wanted value so we didn't mind doing a bit of cleaning since we had a great price for our family. The bedding needs to be updated as well. The pillows were getting old. The sofa is very uncomfortable unless you decided to just slouch. The amenities were great although we were disappointed there wasn't night tennis or ping pong. Pools were amazing! Location was great for Disney and Universal. Unit had everything we needed for our stay. Thanks!! We enjoyed the condo. The condo was very clean and everything we hoped for. We would definitely stay there again. Ein sehr schönes, geräumiges und gemütlich eingerichtetet Haus in einer sehr gepflegten Wohnanlage. A very nice, spacious and comfortably furnished house in a very well maintained condominium. We felt very comfortable and like to come back. As soon as we arrived. We felt at home. The townhouse was spacious and well furnished with all the amenities and guidance of where to go, what to do. We felt safe, at home and very comfortable. The airconditioning was very welcome given the high temperatures. Showers worked well, lots of towels and linen were made available. All contributed to an amazing 3 week family holiday which saw us use this as the base to travel around Florida. Would love to come again. Nice house, great location !! The house is nice and Venetian Bay Village is a great property to stay. The area is good with all shops, restaurants etc. etc.. we stayed here for the 2nd time and we will go back ! !